4 DIAMOND RATED. Our Deluxe Spa Cabin is fully self-contained with separate living and sleeping areas. It is tastefully furnished with luxurious fittings and a two person spa and shower in the larger than average bathroom. The cabin has two bedrooms as well as a fully equipped kitchen with ample cupboard space. It is set in quiet bush setting assuring privacy and comfort and it has reverse cycle air conditioning . It has a queen size bed in the main bedroom and two singles in the second bedroom. 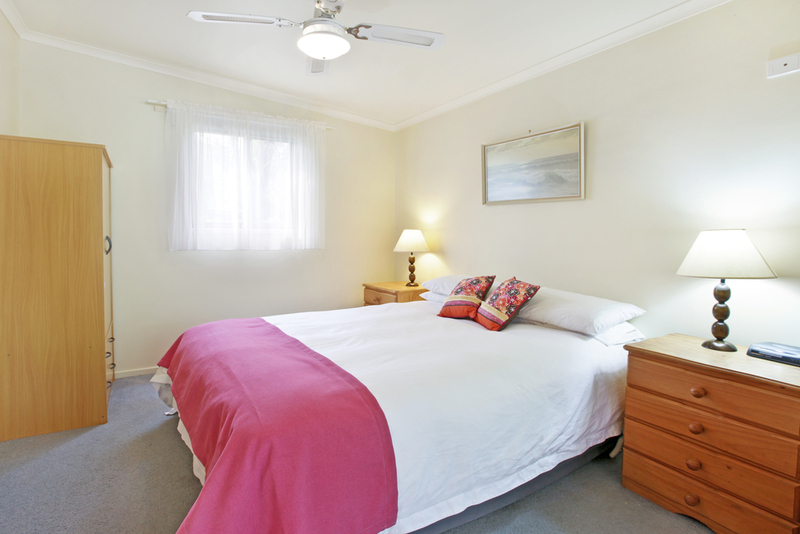 All bedding is provided and linen is supplied to the main bed. Linen for other beds is available at $10 per bed per stay, or you can supply your own.